Welcome to Winter Sparkle Get Crafty. 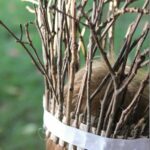 I am not really sure “what I was expecting” when I choose the theme for this month’s Get Crafty, other than, to make winter greyness sparkle and look wonderful. 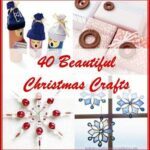 So Winter Sparkle brings you some seasonal crafts… I think it is a wonderful collection again. I hope you like them. I do! I thought the theme of recycled could be really inspiring after the excess that Christmas may bring. Save your wrapping paper. Save your boxes. Save your ribbons. 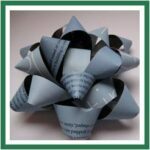 And come back on the 1st January and see what Recycled Crafts you can Get Crafty with! 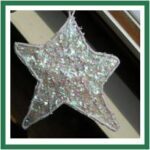 Can you believe that this pretty sparkly star has been made by a child?! It is gorgeous, isn’t it. I think Bonus Boy at Thinly Spread should open up his own Etsy shop! Hop over and find out how they kept the “not saltdough” so white! Very clever indeed and perfect for “White & Sparkle”. 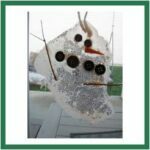 Well, we will see a number of snowmen today on White & Sparkle Get Crafty – well what can you expect – they are white and they are part of winter!! 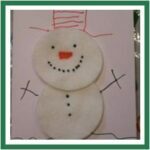 I love “Thank You”s, so I love Cathy’s Snowmen Thank You cards over at Nurture Store. Aren’t they cute? 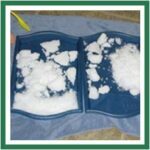 And here are some more snowemen, that the Frugal Family made for “us” and wanted to share. Very wintery and cute! I love that there are 3 different ones, with their own little characters! 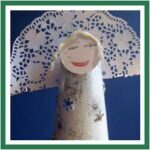 Maria at Fab Mums is the RECYCLED QUEEN. 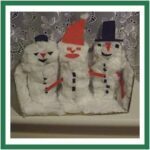 She loves making her crafts with bits from around the house and these Snowmen are made out of newspapers! Go visit her blog now and take a look. I think they are super cute and really celebrate the beginning of winter! Well come on, what would you expect, it is Winter after all! 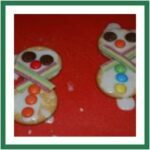 love these Melting Snowmen (I am not quite sure what they are, but I think they look lovely and fun). What I really like, is that over at Monkeying Around Times Two, they have a whole schedule of “Advent Activities” – how lovely “to do” lots during advent, rather than “just” eat lots of chocolate. So lovely indeed. Now, where is my advent activity list…..
And if it is too cold out to go and build a snowman.. why not bring some snow indoors? At Mama Smiles, the children indeed smiled at this. Be inspired to have fun and play! And when you add some food colouring you can do some colour theory experiments! 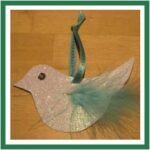 Cathy at Nurture Store has come up with another lovely White & Sparkle idea here with these Peace Doves. They make super pretty decorations and I have to say, I really like the feather (and matching ribbon). So pretty! Now, I know we saw some these cute little Dragon Flies back in Nature Get Crafty. 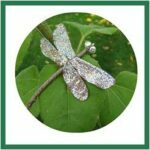 I know that Dragonflies are not strictly speaking “Christmassy”, but there is something gorgeously pretty about these, that I think no one would complain if they are included in “Winter Sparkle”… I think they would look lovely on any Christmas decoration – imagine a wreath or along the fireplace… Lovely. Nip over Fowl Single File and see all the pretty colours. Now the photo really doesn’t do this Glitter Globe just! You REALLY have to go to Marvellously Messy and look at the little video they made with it. 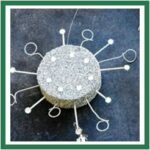 It is a fun little project that really embraces “sparkle” and will brighten up any Winter’s day. Ooooh, these are simply to pretty and cute and so so clever. Chris at Thinly Spread does it AGAIN! 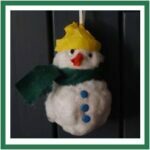 They are much simpler to make than you think and they look fabulous with a light behind them! 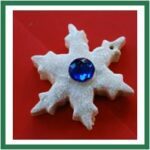 These really do represent all things Winter Sparkly. Just too gorgeous. On top of that easy for little hands to help with! I was beginning to worry that we had no angels in Winter Sparkle Get Crafty… and then, like English buses, 3 came at once. First we have the wonderful angel from Cathy at Nurture Store – not only is it a pretty angel, BUT it contains yummy scrummy chocolates. What a lovely gift to make! Hop over here and see how! 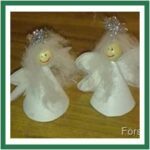 And then.. the lovely Forskoleburken blog came along and made some very pretty little angel decorations. These remind me of “traditional” German crafts from my childhood and are ADORABLE. I love them. See how the made them here. Oooh and some more lovely Angels. I love Gail’s crafts at that Artist Woman. 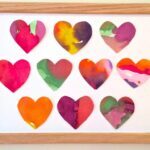 She has so many wonderfully creative and inspirational crafts. Her site is so lovely, you really must go an look. 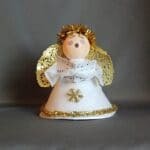 In the meantime, check out the Easy Angel Carolers tutorial. Gorgeous! 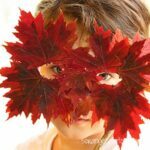 What I love about the FabMums blog, is Maria’s approach to crafting: basically, her very talented son get’s to lead the project. So these are “true” child creations. Fabulous. 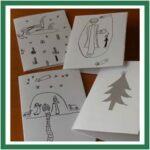 Here we have some lovely simple, but effective cards. Cards that will be stored away in the keepsake box my relatives. She also shows us some of her ideas for the cards and show us how crafting together can be really fun and makes for lovely bonding time! I LOVE anything made out of loo rolls – I like the idea of taking something so simple and transforming it into something amazing. And Michelle did just that with these Christmas Stars. Yes, that is right, they are made out of toilet paper rolls. Quick head over and see how!! Who says Winter Sparkle has to be white?! Look at this cute little bird? 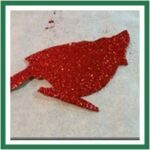 It reminds me of the oh so seasonal Robins. Another little glitter ornament (I knew “sparkle” was a good idea). Very simple and cute. 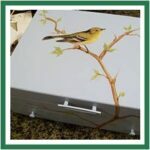 Check it out at Permanent Posies blog. This can be an advent calendar (there are numbers under the buttons) or just a pretty seasonal decoration. I think it is fabulously white and pretty in it’s simplicity. I would have one of these in my house for sure. Go and see the Muse Lodge for more! 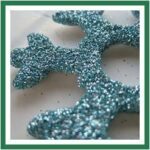 For some real winter sparkle, check out these very pretty sparkly snowflakes. The idea is simple, effect is stunning. I love! Wendy in Florida shows us how. 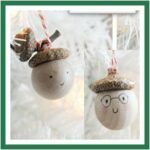 These little acorn men are so simple and yet so ADORABLE! Wow! Wouldn’t they make any tree look special? Or use them as a little bit of decoration (and gift) on a Christmas present. Look here how they are made! Well.. not everyone wants to have their Christmas handcrafted by children. 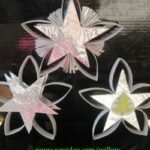 If you are one of those, these awesomely sparkly and very very different snowflakes are something for you. Part of the Art & Crap [sic] you will find over at Potholes and Pantyhose. This reminds me of an image of a lone deer in the winter woods, on a misty morning. So elegant. Elusive and the sparkle makes it quite something. 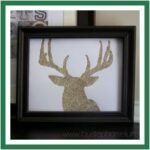 You can see how to make your own as decor ore a gift AND get a downloadable printable at By Stephanie Lynn. 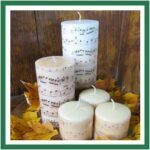 Ok, so these are not “Musical” in the sense that they make lots of music when you light them (those candles do exist), but they are beautiful decorated in “music script”. Remind me of winter hymns and would make a lovely centre piece on any Christmas dining table. Go to Can’t Stop Making Things and see how they did it! Winter can also be an opportunity for simplicity and grace – the of a clean white snowy landscape and you catch my drift. So if clean white lines are something for you, than these simplest of burlap vases are something you must take a look at. Visit His Sugar Plum here for more. As I a child I used the love the prettiness of rosettes used for presents. At the same time, I used to feel “bad” about the unnecessary waste that they create. Feel bad no longer. Make your own very pretty rosettes out of old magazines and in all sorts of colour. I ADORE! Horray! Click here for more info. 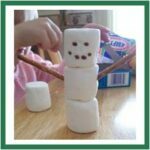 How simply cute and fun are these marshmallow Snowmen? Lots of fun to make and even more to eat. Make sure they are on your “Advent Activities” to do list! They are by Serving Pink Lemonade – and you know any blog called that is worth a visit! 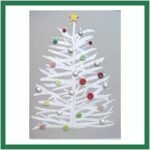 Can you believe it, my only submission from Red Ted ARt this time… well there are plenty of snowflakes on “Christmas Get Crafty” and I don’t want to bore you by repeating myself. Here are our simple icing snowflakes. Red Ted LOVED making (and eating these!). See Red Ted in action here. These are a super simple iced cookie recipe from Craft Edition that looks very seasonal indeed – I am sure that that looks like edible sparkle. 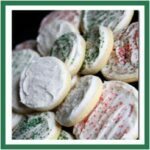 You will also get a great plain cookie recipe – they are fabulous to have up your sleeve for cookies all year round (e.g. see our Rainbow Cookies recipe here, that also doubled up as Alphabet cookies and no doubt will come in handy at Christmas too). Now, THESE are on our Christmas Baking list. 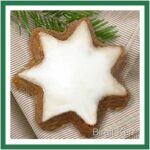 Any Germanic household will tell you that Cinnammon Stars are simply a must in any traditional baking. Yummy. 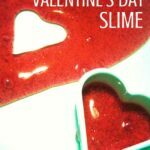 I haven’t made ours yet, so may just give this recipe a go! 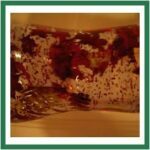 Birgit shares her recipe on Birgit Kerr. 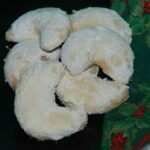 And here are our very own “Vanille Kipferl” a Christmas must in our house! I always have to bake (at least) double quantaties!! 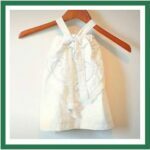 Would you believe that this cute little dress is made from an old table cloth? I keep saying how rubbish I am at sewing, but I would love to make one of these for Pip Squeak… Emily at Finding my Aloha made this too cute dress. I want one. 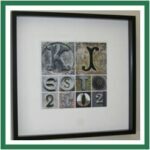 Stephanie at Full of Great Ideas shows us how to make these stylish looking Name & Date prints. 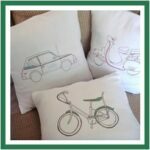 I ADORE these retro cushions. They looks so stylish and fabulous. Definitely some new for me to try. Muse Lodge shows us how. OOh Maggy I love those wrapping rosettes, but I couldn’t find the link to the how to. Hi Lily, thanks for the heads up. Have fixed the link!!! Yes, I love the rosettes, they are very pretty, aren’t they!!! So many beautiful and sparkly crafts! Thanks for the inspiration.